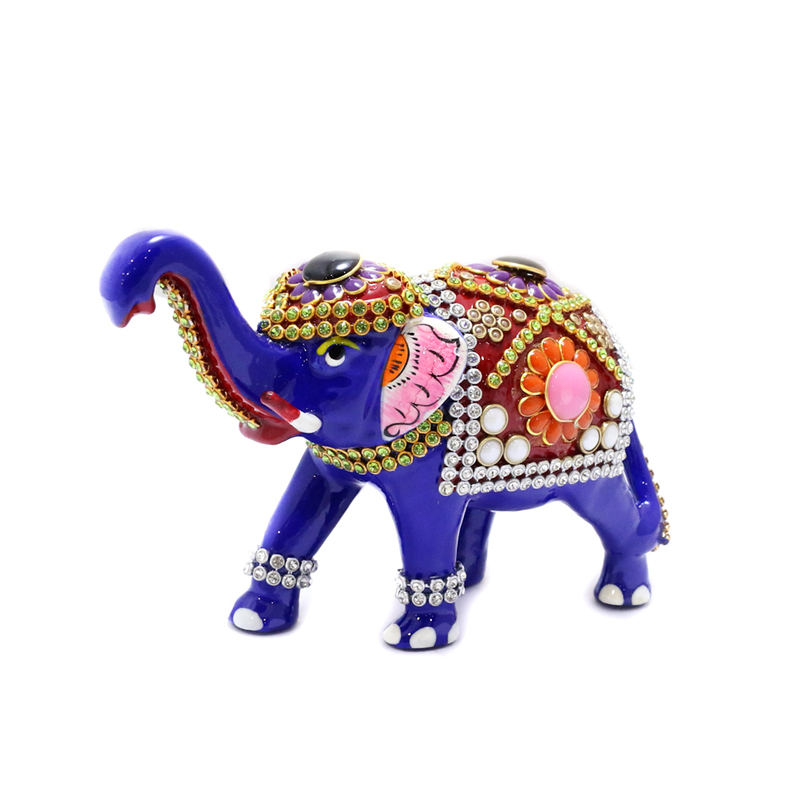 With a vibrant royal blue colour, this elephant has a well crafted design all over. 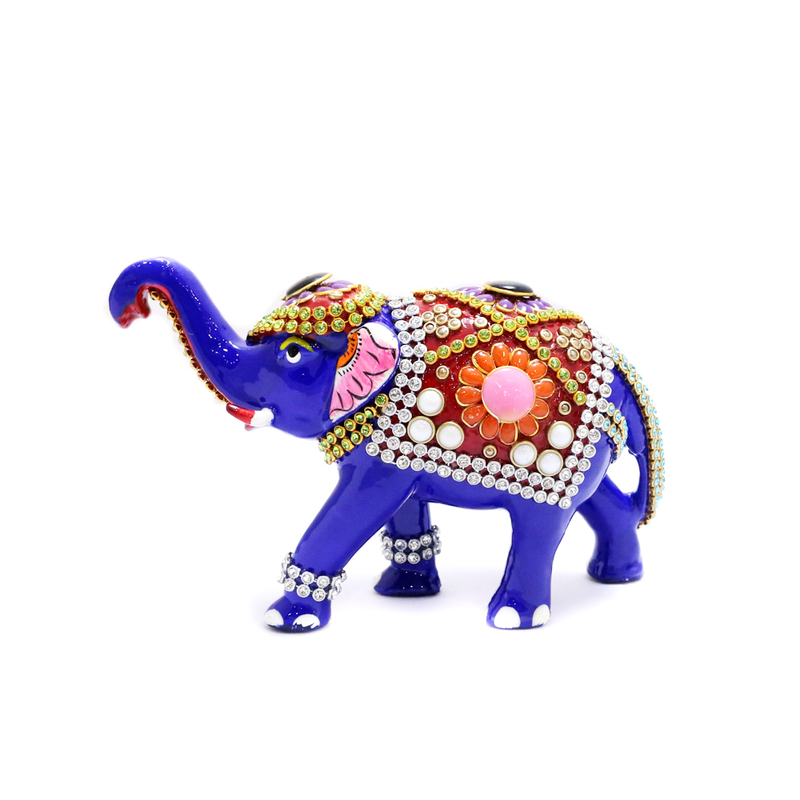 Dense network of Stone and meena work ornament the entire Read More..body of the elephant. 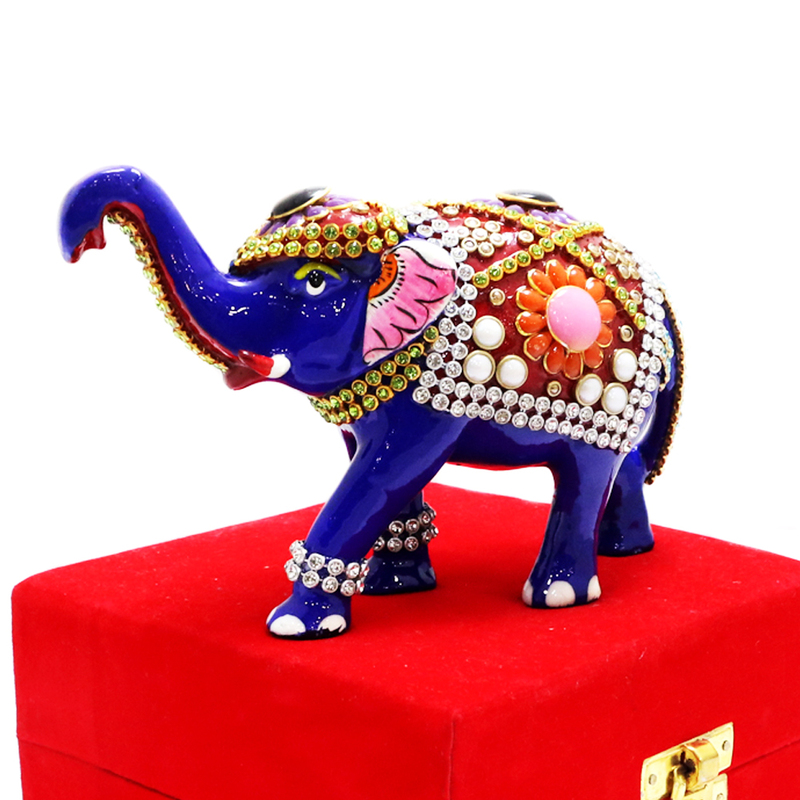 The elephant is in standing posture with its trunk soaring high. Show Less..